This entry was posted in Review, Un-Cannes-y Valley and tagged Confrontational Classics, Mikhail Kalatozov, Score: 10/10, Soviet Cinema, tapestries of human despair, that cinematography though, Un-Cannes-y Valley on July 19, 2015 by jakewalters98. Update 2018: Such an old, out-of-date review from my youth, and so little time to re-review. But after watching Stalker again, I’m still floored by its meditations on apocalyptic time, and the way it seems to persist with the weight of eternity and the pressure of stillness yet still evoke a diaphanous, ever-fluctuating quality. The film visualizes experiences that temporarily illuminate before us and yet constantly seem to be shuddering apart before our eyes. It’s Tarkovsky, so Stalker is tinged with a dose of the Burkean sublime, but never before or since did his quest for transcendence seem so embattled, so threatened, so clearly aware that achieving sublimity isn’t a linear motion toward another realm of physical being but to another way of thinking, another form of consciousness aimed not at stringing together life narratively – looking for the accruals, the goals, the definitives – but toward noticing the fluctuating states of being around you. The sublime, in Tarkovsky’s framing then, is a poetically doomed project, where one reaches new temporary truths only to confront how partial, provisional, and ephemeral they are. Obviously rebuking Soviet modernity’s mechanical modernities and reconnecting Russia to a long-lost mysticism, Tarkovsky’s film has much in common with earlier Russian radicals, reanimating their spirit much as his closest American contemporary, Malick, rekindled the currents of Emerson and Whitman. Both filmmakers resist definitives in their search for cosmic connection, observing nature with a spectral fluidity that moves from the majestic to the terrifying but always remembers the friction in the moment, treating each image not as a statement but a constantly-perusing question, a verb, an unresolved mosaic. His films are about finding a world elsewhere and living with the knowledge that this elsewhere is forever unfinished. 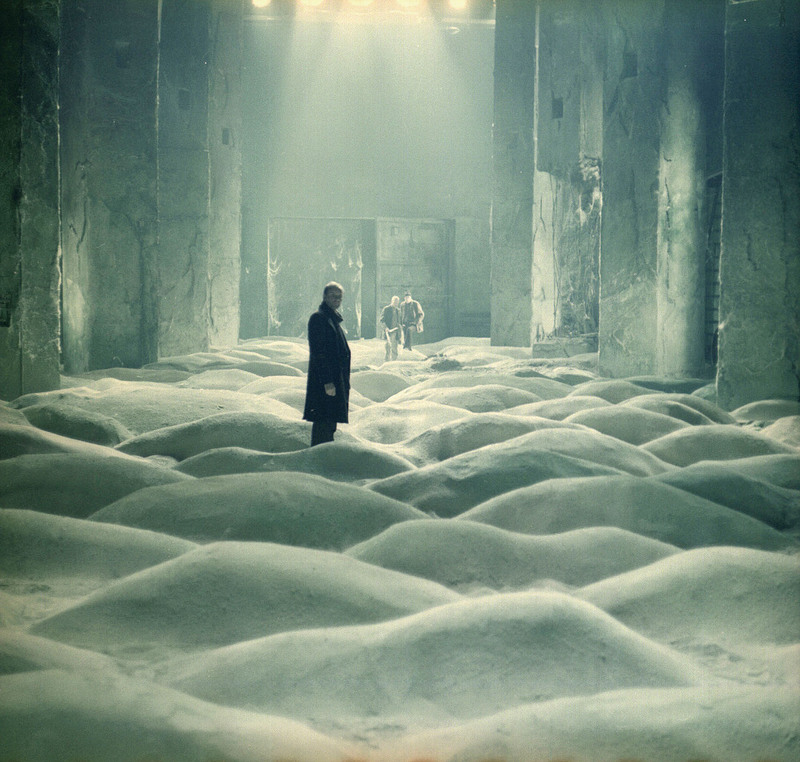 This entry was posted in Film Favorites, Review and tagged abstract concrete, Andrei Tarkovsky, cinematic impressionism, Film Favorites, oh-god-the-beauty, Score: 10/10, Soviet Cinema, that cinematography though on July 9, 2015 by jakewalters98.